Anthony Mariano Yanez, 28, of Broken Bow, Oklahoma passed away Monday, August 20, 2018, at Paris Regional Medical Center in Paris, Texas. Anthony was born on January 11, 1990 in Ada, Oklahoma to Roberto Yanez and Rebecca Jacobs Yanez. While in high school Anthony loved playing baseball and football. 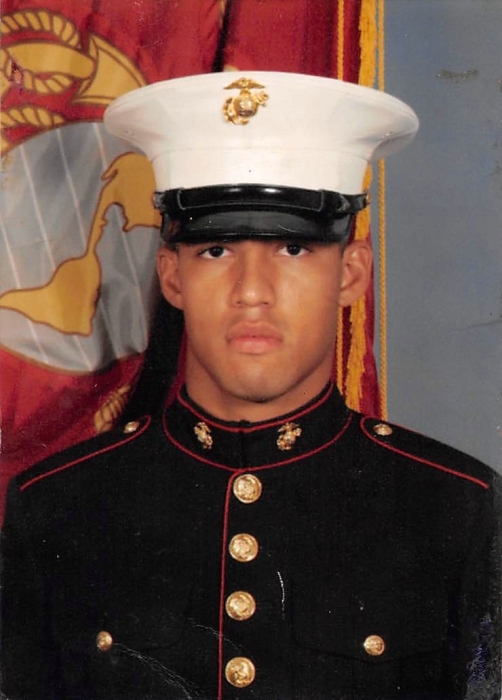 Anthony joined the United States Marine Corps as soon as he graduated from Broken Bow High School in 2008. While serving his country Anthony received the following: National Defense Service Metal, Armed Forces Reserve Medal, Afghanistan Campaign Medal, Sea Service Deployment Ribbon, Purple Heart, Combat Action Ribbon, Navy and Marine Corps Achievement Medal, and Rifle Qualification Badge (sharpshooter). Anthony loved spending time with his children, nieces, and nephews, watching them play baseball, wrestling, and going with them to the lake, and fishing. He was, also, a member of the First Presbyterian Church in Broken Bow, Oklahoma. Anthony was loved by many and will be missed by all that knew him. Anthony is preceded in death by his father; Roberto Yanez, grandmother; Lillian Janette Jacobs, and nephew; Xavier Rodriguez. He leaves to cherish his memory, his mother; Rebecca Gamez and husband, Roger of Broken Bow, Oklahoma, significant other Katreece Cobb of Broken Bow, Oklahoma, children; Tristian, Nikolia, and Tessa Yanez all of the home, brothers; Brian Lawrence and wife, Tasha of Broken Bow, Oklahoma, and Stephen Whitmore of Broken Bow, Oklahoma, sister; Anna Yanez and husband, Christian Rodriguez of Broken Bow, Oklahoma, and host of nieces, nephews, family, and friends. A visitation for family and friends will be held on Friday, August 24, 2018, from 6:00 PM until 8:00 PM at Bunch-Singleton Funeral Home in Broken Bow, Oklahoma. A Celebration of Life Service will be held on Saturday, August 25, 2018, at 2:00 PM at the Broken Bow High School Auditorium in Broken Bow, Oklahoma with Bro. David Hall and Bro. Fred Bray officiating. In Lieu of flowers donations can be made to the funeral home.